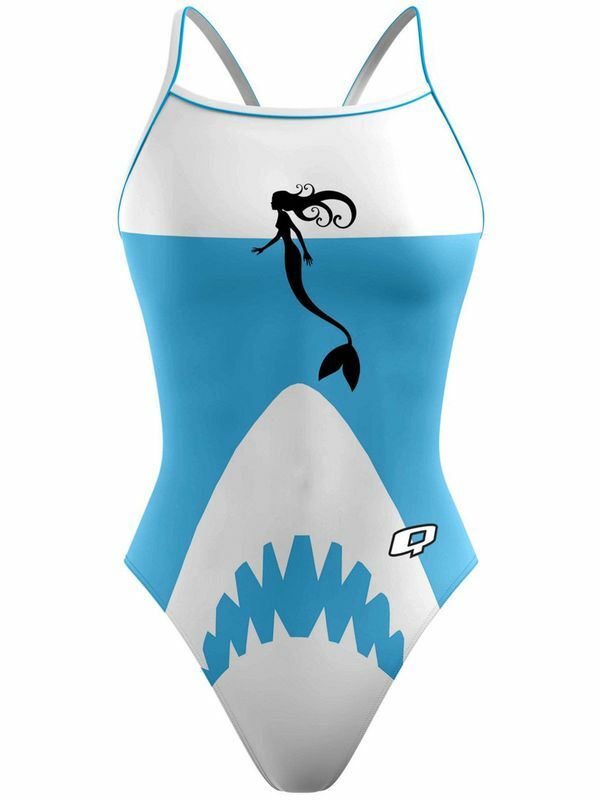 You’ll be looking good enough to eat in the Q Swimwear Shark Food Sunback Tank One Piece! Easily one of the coolest, most unusual looks of the year, we are obsessed with this incredible look. With a stark white background and ultra modern Q Swimwear logo, this suit features a gorgeous mermaid swimming away from a shark in a crystal clear aqua blue sea. And this is one strong and flexible shark! Built to stand up to endless training session, the Q Swimwear Shark Food Sunback Tank One Piece has an ultra open back and thin straps for an enhanced range of motion that will let you fly across the pool distraction-free.